Mix together the soy sauce, sherry, sesame oil, garlic and ginger in a shallow dish. Add the steak and leave to marinate for about 20 minutes (or longer, if you have time). Lightly score the skin of the duck breasts, then season well. Place a non-stick pan over a medium heat, then lay the duck in the pan, skin-side down. Cook until the fat starts to come from the duck. Turn down the heat, then continue to cook for 10 mins, depending on the size of the duck breast, until the skin is really crisp and brown. Flip the duck over, cook on the flesh side for 3 mins until browned and then remove duck from pan. 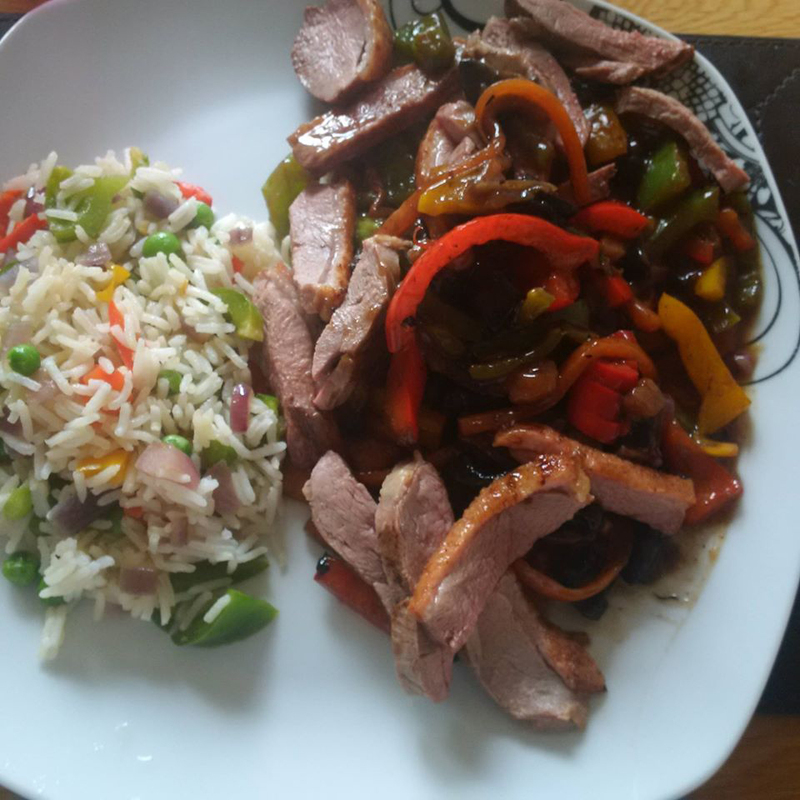 Place a teaspoon of oil (if required) in the duck pan and stir fry the vegetables. Whilst the vegetables are cooking, thinly slice the duck and add to the pan. When the vegetables are nearly cooked, add sauce, heat through and serve.